Until recently, south Lombok was only known as the pick of the bunch for the surfing community, but in 2005, the divers at Dive Zone discovered its potential as the perfect spot for scuba, with fantastic reef breaks drawing the best of the coastline's marine life. As a result, it's not buzzing with tourists meaning it's a bit of an insider tip within the diving community. The open water dives allow you to get some big fish action, swimming alongside vast schools of tuna, mackerel and barracuda as well as the common sighted black and white tipped reef sharks, or if you're lucky enough, the odd hammerhead or two. Additionally, from mid June to early November the eagle ray season means the magnificent creatures swarm the coastline and are a true sight to behold. - The one day PADI Discover Scuba Diving course; an introductory underwater experience for those who are unsure. 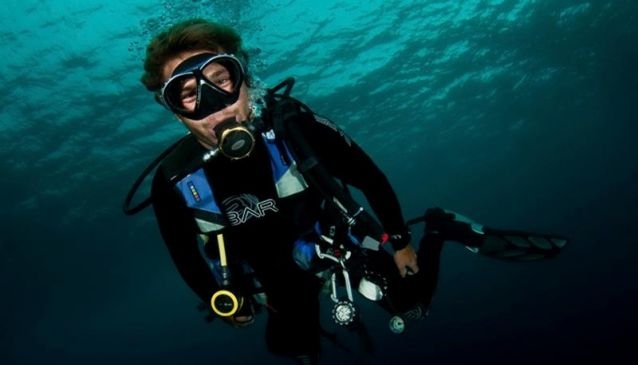 - The two day PADI Scuba Diver course; you'll improve your diving theory as well as take part in three water sessions with qualified divers. - The three to four day PADI Open Water Diver course; perfect for beginners who want to become certified. Involves five supervised dives and you'll receive your PADI certification following this which allows you to dive anywhere in the world.